Tomoko had gone with her friends on a trip so I took the opportunity to hit the old neighbourhoods and see who I could see. My first stop was to Nakae-san’s house. Because his health was never the greatest, he spent most of his time at home, so there would be no worries of missing him. The trip from Tomoko’s house was one I had made on many, many occasions. Take the bus to Hirakata-shi station. Get on a local train towards Kyoto, and in 20 minutes you’d be at Tofukuji station. When I first got to Japan I lived in a gaijin house – a guest-house for foreigners – in a suburb of Osaka for the first three months. While it had its advantages, such as the company of some wonderful people, free cable and internet, I realized pretty quickly that I didn’t want to live in Osaka. 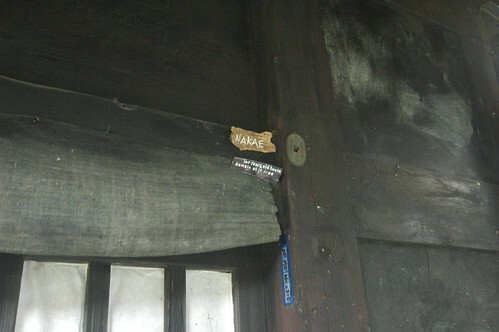 After some searching I ended up finding a room for rent in an old guy’s house on one of the many mountains in Kyoto. The rent was cheap, the guy spoke English and the room was actually an entire floor to myself in a really old house, it was perfect! The area around Tofukuji is pretty sleepy, it’s mostly old people and the shops look like they’ve been around for a long while. As a result, the walk from the station was identical to any number of previous ones. At one of the shops I ran into Katsuzo-san, a fishmonger and the only shopkeeper I knew by name in Japan (although I don’t think I ever bought any fish from him). He had spent some time abroad and knew some English, and I was the only foreigner who lived in the area (at least as far as I saw anyway) so we used to chat when I walked by his stall on the way to work. He was (obviously) surprised to see me and we caught up a bit. 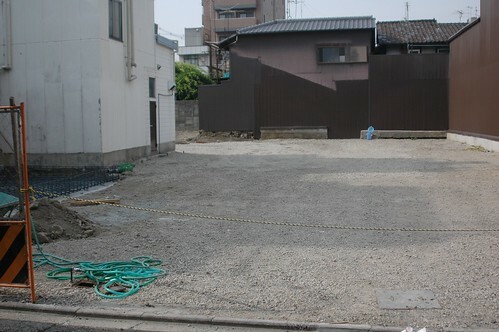 Then I continued on to Nakae-san’s place. I made it up to the house, and even here little had changed. 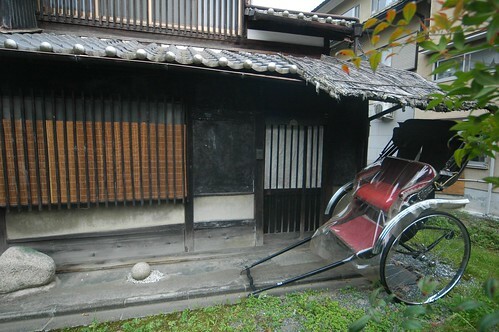 The same crazy art was outside the house, but worryingly Nakae-san’s car wasn’t parked up front. I knocked on the door but there was no answer. I walked around the house but couldn’t see any signs of life. Worryingly, there was a note pasted by the mail box. I couldn’t read it, but I was pretty sure it didn’t say “No flyers please”. After waiting around for a bit I decided to ask a neighbour. He told me that Nakae-san had passed away the previous year and that his sister still comes to the house to take care of it. I wrote a note for the sister explaining who I was and leaving my number, I wanted a chance to find out about how Nakae-san passed away and where his grave was, and then left. There was nothing to see here. After a year on the mountain, I decided to move somewhere more central. I lived in my new place for a year and I loved it – it was close to the train and subway, and there was a convenience store right next door. But, at the same time there was a small stream nearby as well as some famous temples and shrines, and geishas. I also enjoyed the fact that it had no shared space so I never had to worry about using the kitchen at odd hours. From the old place to the new place isn’t all that far, maybe an hour walk or so. But there is enough to see on the way that it’s pleasant and I wasn’t particularly pressed for time. As I was making my way, everything was again pretty much the same as I remembered it. Sure, some shops may have been replaced by newer ones but these were small details, the bigger brush strokes were all there. Then I saw what had happened to my place. This time, there was no neighbour to talk to – their house was gone too. I guess some developer bought the land. Probably to make an apartment building. I’ll find out the next time I’m in the area.